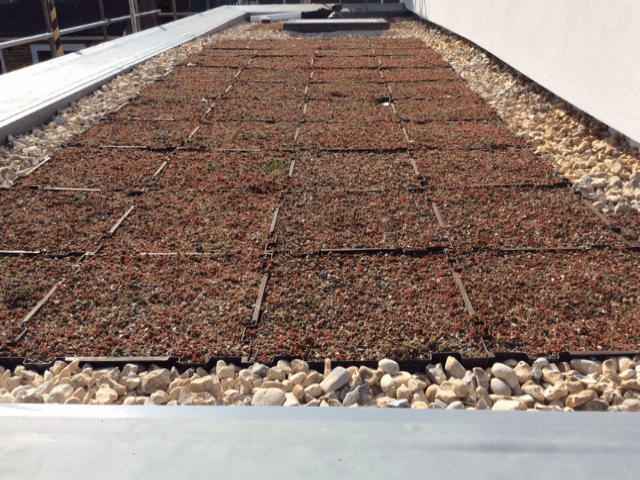 Green roofs have become an established method of improving the environmental performance of flat roofs, providing a wide range of tangible benefits to built and natural environments. Consisting of three main components – growing layer, drainage and planting – the built-up on site green roof typifies green roof construction. Planting can be achieved through a pre-grown blanket. Extensive green roofs are designed to reap the benefits that green roofs offer but at minimal cost and with very little maintenance.